Recently, I tweeted a thought that was inspired by this book: Prayer that gets heard: the Spirit of the Son, within us, talking to the Father, through us; us refreshed, changed by divine dialogue. This book has 14 very short chapters (typically 2-3 pages in length), but great content fills each and every page. 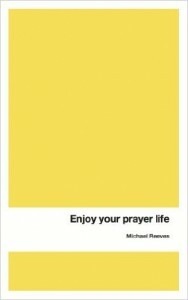 For two weeks, I read a chapter a day and put Michael’s thoughts into practice during both my quiet time and my day. Naturally, there were a few things I would have worded differently; however, this is a great book. Peter, thank you for thinking about us. Pam & I are starting a daily prayer life. We are really excited about getting to know God through our Holy Spirit. We look forward to your future blogs! Praying together with your wife will pay huge dividends, Joe. It’s a habit my wife and I established years ago. We also try to have a day per week to worship, play, pray … together. On the latter, check out my Dec 27 post on “The Rest of God: Restoring Your Soul by Restoring Sabbath.” Blessings on your unfolding day, my friend.